The South Fork American River is located on the western slope of the Sierra between Sacramento and Lake Tahoe. The South Fork American River flows past historic Sutter's Mill where James Marshall started the Great California Gold Rush with his discovery of gold in 1848. 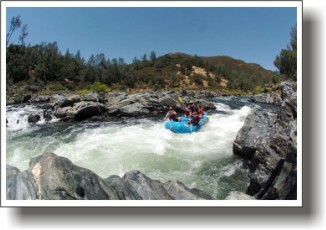 Over 30 rapids, from mild to wild are encountered on the 21 mile journey from Chili Bar to Folsom Lake. Our two day trip includes a first day run down the 13 mile Lower Gorge where the challenge of Satan's Cesspool, Bouncing Rock and Hospital Bar await. The second day of our trip climaxes with an 8 mile Upper Chili Bar Run where you run Meatgrinder, Triple Threat and famed Troublemaker Rapid. 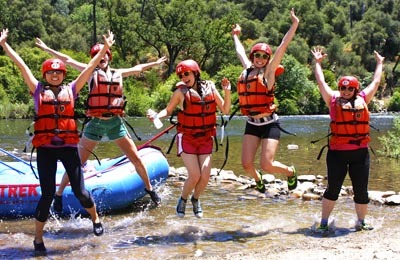 While our 2 day trip is the best way to fully experience the South Fork American River, those with limited time can also choose a 1 day trip on either the Lower Gorge or Upper Chili Bar Runs. 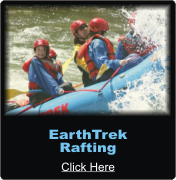 Our most popular trip especially for company groups, scout troops and families. 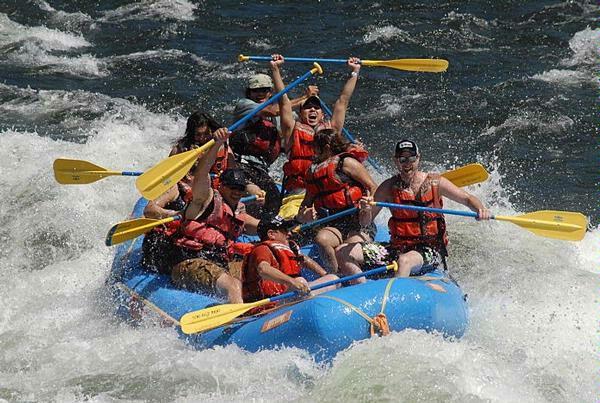 Our 2 day trip includes rafting the Lower Gorge the first day followed by the Upper Chili Bar Run on the second day plus 2 nights camping and 5 meals. Our one day raft trip includes camping the night before your trip so you can arrive anytime after 5 PM on the day prior. After breakfast and a brief orientation, we will begin our 13 mile journey down the Lower Gorge of the South Fork American. Our Lower Gorge trip begins at our camp as we float a swift but mellow section of the river allowing everyone to perfect their paddling skills in preparation for the challenging American River Gorge. After a delicious 'deli-style lunch we enter the Gorge where in quick succession we will bounce, yell, get wet and laugh through Fowler’s Rock, Satan’s Cesspool, Haystack Canyon, Bouncing Rock and Hospital Bar Rapids. Our journey ends on the warm, still waters of Folsom Lake where an awaiting bus or van shuttles you back to the meeting place around 4:30 PM. 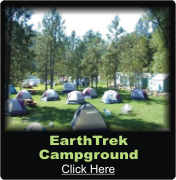 Our trip includes camping the night prior to your trip so you can arrive anytime after 5 PM on the day prior. Breakfast is included and then we will shuttle you up to Chili Bar where we begin our thrilling 8 mile run. The action begins immediately with Meatgrinder, followed by numerous rapids including Racehorse Bend, Rock Garden, Triple Threat and climaxed by a mad dash through famed Troublemaker Rapid. Our trip ends as we pull ashore back at our camp where you can enjoy a tasty barbecue lunch. The trip concludes at about 2:30-3 PM. Our SUPER 1 DAY TRIP includes a full day of rafting the Lower Gorge plus camping before and after your rafting trip plus2 breakfasts. Dinner is not included but available at your choice of several nearby restaurants. Cabin tents and river tents can be added at an additional cost. You may bring your own tent at no additional cost. You may arrive at our camp on the South Fork American anytime after 5 PM on the night before your trip. 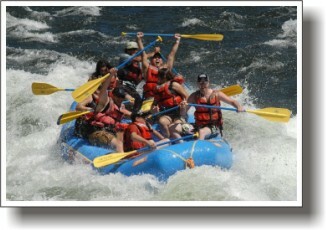 The first day of your trip will include breakfast, followed by our full day raft trip down the Lower Gorge with lunch. The trip concludes after breakfast the next morning, about 9 AM.